During the lifetime of the Coupe, one of the standard features included on all specifications was alloy wheels. 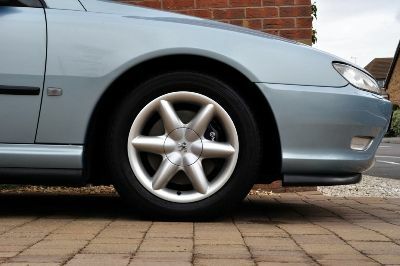 In all, there were 4 different styles of wheel, although it is worth noting that there was not an optional choice of wheel style until the very end of the Coupe range and even then the choice was very limited. In addition to this, as Coupe availability in the UK ceased earlier than in other countries the UK saw no optional choice of OEM wheel types. 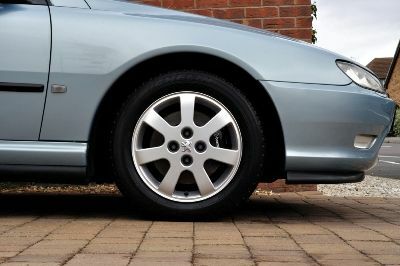 The 406 Coupe was first introduced with the 6 spoke wheels which have, to members of the club, become affectionately known as Starfish wheels. 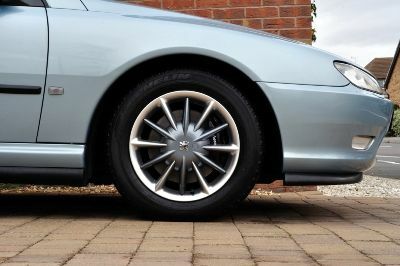 The Starfish wheels were the only wheels released for the Coupe which came in both 15" and 16", with the 15" being standard on the 2.0L Coupe and the 16" being standard on the V6. The Starfish wheels have become the most popular choice of wheel with UK Coupe owners who often replace the later Hoggars with them. The 16" 12 spoke Nautilus wheel saw it's introduction to the Coupe range in 2000, where it appeared as the standard wheel on the Settant'anni special edition range of Coupes. It later made a reappearance in the UK on the Silver Black Special Edition range and it's international equivalents such as the Coupe Sport and Black and Silver Edition. And then another reappearance after the Coupe ceased to be available in the UK, as an option alongside the Tacoma type wheels. There were 2 different types of wheel cap available for the Nautilus wheels, a basic grey cap and a "chrome colour" cap, although we are unsure exactly how different these are. 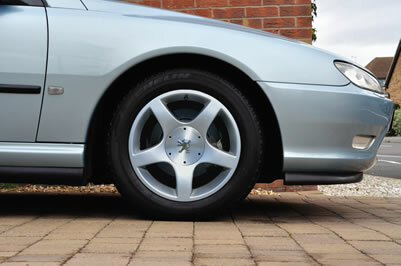 In 2001, the Starfish alloy wheels were replaced as the standard Coupe wheel by the 7 spoke Hoggar wheels. The Hoggars are the most unpopular choice of wheel, with many owners preferring to swap them for the original Starfish wheels. The Hoggars are the only OEM wheel not to have a wheel cap. They are also the only centreless wheel in the range, and as such can be difficult to have balanced as the process requires a special adapter. In late 2003 the Coupe underwent a face lift and at the same time the Hoggar wheels were replaced as the standard issue wheels by the 5 spoke Tacoma wheels, the final wheel type of the 406 Coupe range. The Tacoma wheels were not seen in the UK as Coupe availability was ceased prior to their release.